If you are a college student the Journey Card may be a great card to start your credit journey. Get 1% cash back on all purchases made with the card, plus an additional .25% cash back every month that you pay on time. You can earn an unlimited amount of rewards which do not expire unless the account is closed. 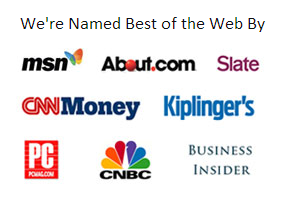 You can redeem your cash back as either a statement credit or check at $25. Capital One also provides the option to set up automatic redemption so that you receive your cash back at intervals or thresholds that you determine. For example, you can set up your automatic redemption at $25 or $50 intervals or on certain dates each calendar year. You can also redeem for gift cards which are available for as low as $20. Credit line increase. If you make your first five monthly payment on time, you may be eligible through Credit Steps, to receive a credit line increase. Average credit is okay. Students often find approval for credit cards difficult. The Journey Card is designed for students who have "average" credit ratings and are not able to get approved from other card issuers. This not only allows you to establish your credit, but also carry a credit card for emergency purchases that can earn cash back. No fees. This card provides an opportunity to earn cash back without worrying whether you earn enough to pay for the card, plus you can transfer a balance from a card with a higher APR without paying the typical fee of 3%. No purchase categories. Some cards award more cash back but only when you use your card for purchases in certain categories. Purchases made outside of those categories generally earn 1% cash back. 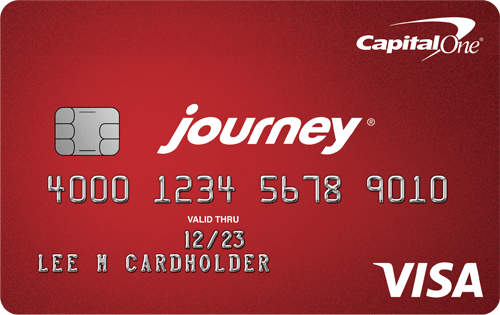 The Journey Card allows you to earn a flat rate of 1% on all purchases made with the card, plus you can earn an additional .25% just for making your payment on time each month. No foreign transaction fee. Some credit cards carry a foreign transaction fee of as much as 3%. This can be a considerable fee if you use your card for traveling abroad or making foreign purchases. One of the best features of Capital One credit cards is that there is no foreign transaction fee at all. High APR. The variable APR is among the highest APR charged by most, if not all, other student credit cards. If you pay your balance in full each month you can avoid paying interest on your purchases. However, if you carry a balance from month to month, you should instead opt for student cards with lower APRs. The Journey Student Rewards card is best for college students who have average credit and are diligent in paying balances in full each month. It is also best for those whose purchases vary from month to month because of the flat rate of rewards you earn from all purchases made with the card. If you frequently travel abroad, the card is also ideal because it is one of the few student credit cards which does not charge a foreign transaction fee.